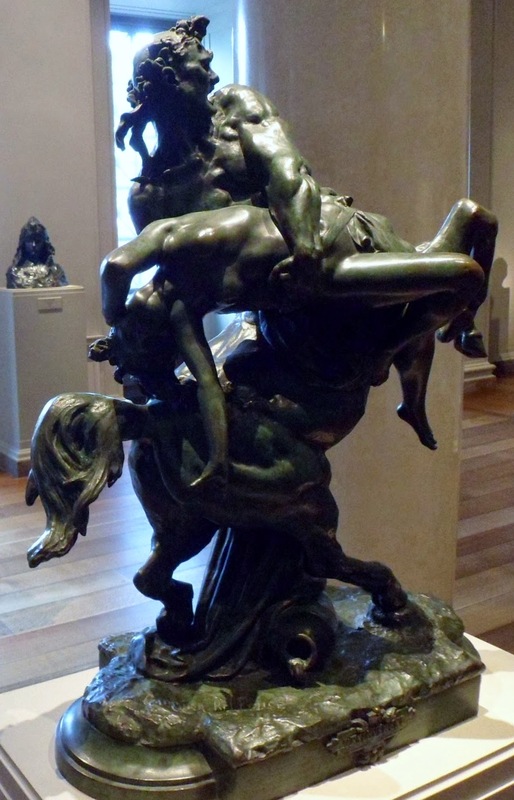 I'm over half-way through drafting my first BRAND NEW BOOK of the year -- Historical Fiction set in the Bronze Age and it may or may not involve both Odysseus and Polypoetes, among others -- which made the revisions I was doing on TAMER OF HORSES (Hippodamia and Pirithous's book!) a lot easier to handle, since they're both in the same world. And you'd think that this being my THIRD manuscript set in Bronze Age Greece, I'd have the research part out of the way. You'd be wrong, because every book has different research requirements and elements that maybe the previous one two three didn't. But you'd think that. Heck, sometimes even I think it. And then something like this happens and I am reminded of my place in the order of the universe. Last month I got mightily derailed (many hours spent squinting at tiny text) in my revisions for TAMER by the researching of burial and funerary rites of Mycenaean Greece* since I realized hadn't dealt with mass numbers of dead before previously, and I should probably check my assumptions. Needless to say, they were totally wrong. So now I have to decide if I want to follow Homer (because my books are fundamentally related to and leading up to the Trojan War and the myths surrounding it, and if I follow Homer, I stay consistent), or if I want to stick to the archaeological record, at Homer's expense. If this book were a stand alone one off (it's kind of a companion/prequel) then it would be a non-issue. I could go historical all the way. But because it isn't... the decision is maybe not so straightforward. Either way, though, I need to know what the archaeological record tells us about burials and funerary rites, and I need to be purposeful in either choosing to uphold that element, or sticking with Homer, instead. Purposeful changes, properly noted, explained, and/or justified in an author's note are far more forgivable than accidental-I-didn't-realize-my-assumptions-were-totally-wrong inclusions! And before this particular revision-derailing-event? Aegean Bronze Age Medicine. Which. *I* was pretty surprised/impressed by, personally. There were definitely worse times to be alive. *which contrary to what Homer would have you believe, do NOT involve cremation -- but I'll be posting more about that with some links to interesting articles on the topic over at blog.amaliacarosella.com in the nearish future (mid-April)! Posting has picked up over yonder. 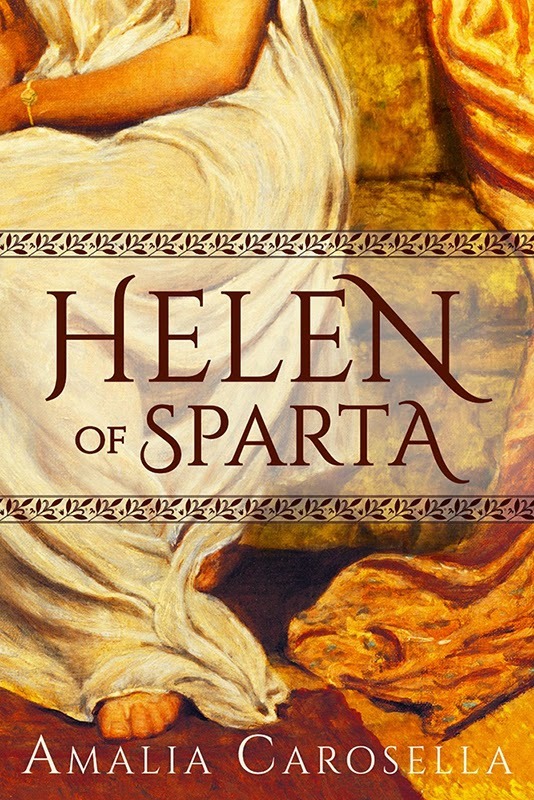 Because HELEN OF SPARTA!!!! You can ask me about Mycenaean burial customs, and any other Mycenaean related questions. Thanks! I actually enjoy the researching and putting the pieces together part of things -- but I'll definitely keep that in mind if I get stuck on something! I've had people tell me that I'm lucky to write books wherein I get to make everything up, and after posts like this, I believe them. ^_^ But I think it's amazing how learning even a little about something can lead to so many story ideas. Truth might be stranger than fiction, but it can be just as inspiring. One of the things I love about writing books is that it gives me the excuse to learn about whatever I want -- forever! So I'm happy to take advantage of that and do my research! But even when I'm writing straight fantasy, I feel like I end up researching a lot more than I would have thought I'd need to! And you're right. Learning even a little bit can give back SO MUCH!